This project is an audio-zation of the vessel in waveform. A simple line drawing mapping the form of each vessel was made then imported into a custom program converting the drawing into a .wav audio file. Parameters were set based on the intrinsic tonality of the vessel. For example: if the vessel was rung like a bell and its tone was an E♭4, meaning it has a frequency of 311.127 Hz, the program uses this numeric value to give tonality to the waveform. 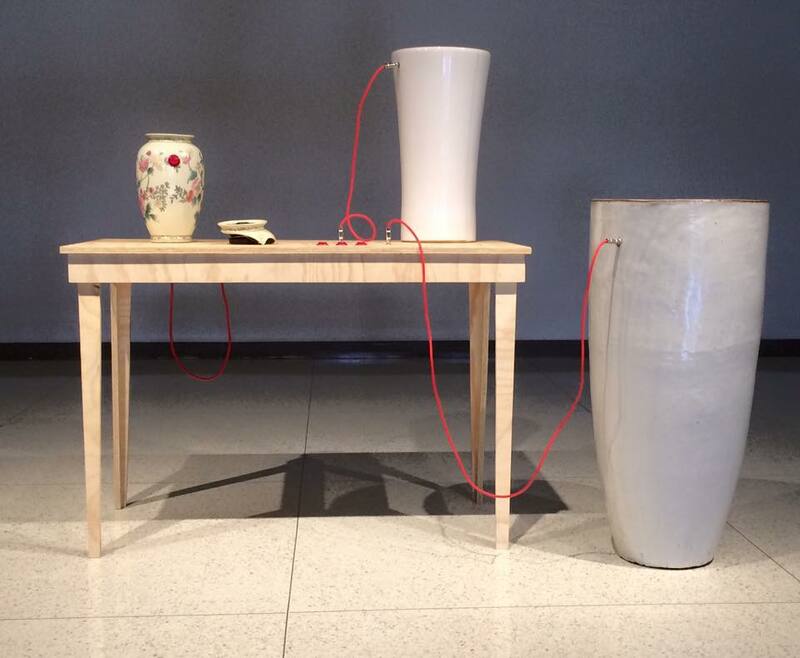 Essentially, each vessel is playing the sound of itself. Collaboration with Ian F. Thomas.